How can I get 6.5 in IELTS test? I took the IELTS test 6 times. And I always get 4.5 and 5. It's never grow up !! My good result was: overall 5 - L 4.5 - R 5.5 - W 5 - S 6. What should I do to improve my result?! Comments for How can I get 6.5 in IELTS test? Getting from a 4.5 / 5 to a 5.5 or 6 is possible with some focused practice (and ideally some teaching if you can get it), but it will likely take time. Getting to a 6.5 is also possible, but that is a BIG jump from a 4.5 or 5. Unfortunately there is no magic trick to achieve this quickly. It will take a lot of practice. For example, regarding writing, someone who is getting a 4.5 / 5 is likely making a lot of grammar errors, whereas someone getting up to 6.5 will be making possibly only a few (see this lesson about what is required to be getting a 6.5 / 7 in writing). As you can imagine, it will take a lot of time to make that change. I would suggest you don't worry too much about IELTS itself at the moment. You have taken the test a few times, so you know what is in it. You just need to think about improving your English as much as you can. So just focus on getting involved in English all you can - listening to English radio, TV, speaking it whenever you can, and reading books / magazines in English. Writing is more difficult as you really need someone to check it, but reading will help with your writing. Still have problem with IELTS? Do you still have problem with your IELTS? Will provide you what can be done to solve your problem. I took IELTS recently and to my surprise I got a general score of 8. L-8.5 R-7.5 W-8 S-8. My advise to those who are taking it, is to stay focused and familiarize yourself with the techniques on how to answer the questions. Listening- you should familiarize yourself in capturing the correct answer by using synonyms. They will not directly say the exact word but the same meaning most of the time before or after the correct answer. Reading- Try to read fast. Most common advise is to read the first paragraph and first sentences of the succeeding paragraphs. But in the test that I took, there was a portion wherein you have to select the title of each paragraph. It will be very useful to at least learn how to scan and possibly fish out the pertinent information on each paragraph. Writing- Follow the direction. 150/250 or more words should 150/250 or more words. Great marked down are given if it is short. Speaking- Do not ask the examiner any question, that is their job. Try to speak confidently. Hand gestures while talking if needed. Nod while talking. They do not care if you are making up stories, they are checking on your vocabulary, coherence and maybe pronunciation. YOU CAN I DID IT !!! I was just like you but difference was i took IELTS 3 times. I got 2 times 5.5 and finally bam I got 6.5. So i really want to share you my experience since we have same problem. I know it is big headache when you get bad score over and over again, however you can do it. Here is my tips for you. 1. Buy IELTS 8 Answers book practice few times and look at examples and try to memorize it. But to be honest, i got 6.5 by not studying. Do not care what will come in a exam and relax. It is highly recommended to drink energy drink before exam so that you can fresh your brain. These are things i did before exam. seriously i studied really few times from that book and actually ended up with not understanding anything. I think you have to improve your English by doing something you like to do. For me i like to watch tutorials and videos on internet so that i can improve my listening skill. Secondly i watch foreign reality show and read subtitles, try to understand it without looking at it again. this will help you to improve reading skill. Do not force yourself to something you do not want and try to make it fun and easy for me. The challenging point here is your ability to concentrate on the test. After that you should exercise with plenty of IELTS books. It is not great deal of time! At the end of this period you will get surprised how you have made advances in this matter. recently i gave ielts exam and i got 5 band these are in s-5,l-5,r-4.5 and in w-6. Again i took the exam it's on this 25 may. I need 5.5 band especially in the reading module what can i do to get at leat 5.5 band in reading? i took 9 times ielts test. i always got 5.5 band but i need six each band , i am so poor in reading and listening test hence i dont know what i do. i think i cant improve my english test so please give me advise . without six band i cant successful . i spend $7000 for ielts test and coaching as well. at the end i am doing study at home .please help me . Do not give in without doing your best. Any of us can succeed in ielts exam. Just you need to study hard. Don't lose your passion. If your English level low you should study longer naturally. If you think I don't want to study and focus on the exam. You won't make it. You can't get the score you need. Let me talk about myself. I have good grammar. I am able to understand When I listen to. But I have lack of vocabulary skill. I am start to memorize the most common vocabulary. But I know the thing. It will takes some time. I need 6.5 Ielts score. I am sure that I will gain it. Maybe I will get 7.0 point. Why not. How people get the 8 or 8.5 score. Are they smarter than me I don't think so. I will be succeed. I was born to make it what I want. I attended in IELTS exam twice and obtained overall band 6.0. How can I get 6.5 overall. I gave IELTS and got overall 6 (L 6 W6 S 7 R 5). My requirements for the university was 6.5.I will have 2 appear for the exam again.the next exam is on 21st. I made some mistakes on my previous test.these are i wrote with pen instead of pencil in writing task. Reading was very tough and listening i wasn't fully concentrated. Please pray for me that i get more than 8.5 in my next exam. hi guys! scorin a band 6.5 is easy unless u practice hard! just concentrate on ur weakened part, dont bother about your previous results! you need to make up your mind to achieve your task. common guys cheer up yourselves. u can grab it easily!!!!! I have taken IELTS twice. in the first attempt I took 5.5 overall and in the second attempt I took 6 in total. the thing is my speaking is very good, and since I'm Iranian and living in Kuwait I speak english in my everyday life nd with a good pronunsiation, I dont know where the problem is! and the other major problem is my writing score that drives me crazyyy! I found it sth impossible to achieve a band 6 in it while I guess my grammar is good enough to get a good score. And I need for my university at least 6.5 please advise me about reading. I also need practise speaking with someone. Who wants practise with me please write me mail ( orxanqurbanli@live.com) next my exam will be 25th January. can u recommend some books for ielts, which are available in hyderabad.? i took ielts exam on 26 october i get 5 band overall in exam. My score was w-4,s-5,l-5,r-5.but nowadays i still lot of practice in writing but no improvement my score.please suggest improving writing tips. For the Canadian Univ. requirements I think that there is an easier tests comparing to the IELTS test for example CAEL, I think it's better, because it is easier as I said before. i have read comments of all people as you people have given the test but i haven't given my test yet. so i want a person who helps me in speaking via skype. if anyone wants to help me in any section of the test, i will be glad :). here is my skype id : sheeraz.Jahangeer17 or you can e-mail Sheeraz.Jahangeer@Rocketmail.com. •	Study thoroughly Ielts 6,7,8,9 band books which are avail in the internet (Download with audio). •	Take 2 days time for each book. •	And then last 2 days go for ROAD TO IELTS which are provided by Ielts website in candidate area. •	Concentrate more on listening because it is very easy to score 30 out of 40 in exams. •	Do listening work by wearing a head phone in peaceful room and evaluate yourself. •	Then go for Writing and read the sample workout (don’t memorise) given at the back of the book. •	After that go for speaking and test yourself by speaking in front of mirror for 5 minutes. •	Now go for reading, it is the tough part of the exam but 1st 13 questions will be easy to solve. •	You may get bored while doing reading test on that time leave the part and close the book. •	When you come back to study don’t go for the same topic which you left. Start with a new one. Comments always welcome to (deepakviruu@gmail.com) S.Deepak from Madurai, India. read book for writing "the wealth of essays": anyone can score at least 6.5 after reading this. read book for writing "the wealth of essays": all of u can score atleast 6.5 after reading this. i speak English everyday does,t really matter but my grammar is really bad and forget about writing Please give me some tips. I will take an IELTS exam in 1st February and I need exactly 6.5 Ielts band score because of requirement of university. How can i score 7 bands. I recently gave exam and scored 6 bands. L-7.5, R-5.5, W-5, S-6. Give me some guidance to improve my score asap. I need to take up exam early. Please suggest me how to score 6.5. Please suggest me how to get 6.5.
my IELTS test is 15 march and i have no so many ideas i request you please help me i shall be thankfull and this is my first time. please give me an idea to improve??? Hi every one hope you all doing great and more worried about IELTS score? I bet no institute can help to score very good band in IELTS.But i can help you with very simple trick hopefully,it will work for every one. i have exam on 5th april i am scared for reading i want to get each module six how do i do this mainly in reading, give me your suggestion i am weak in grammar. How can i get 6 in IELTS - I have a problem with listening. I am very much weak in Listening section.i got only 4.5 in 3 times.My Writing score is 6.5, Reading is 5.5 & Speaking is 6.Always i am continue listening practice but my i can not improve my self. So what should i do???? My weakness is Reading because I am really slow, I spend 30 min at Passage 1 and 25 min at passage 2 and 5 min for passage 3. I use the scanning and skiming technique. can you help me improve my score to (6)?? Hi friends.. . Click on the link specially for all you from my personal blog. Here i explained in detail how to 6.5 in IELTS. How I can get 5.5 band in IELTS general examination.I need your valuable advice for this matter . I have never taken IELTS examination.I want to get minimum 6 in 4 sectors.How can i get these? I want to go to Canada so have to get minimum 6.Tell me about it. Nasifahmed55@gmail.com(It's my email. Wrote my ielts for the first and time on the 5th of April 2014..I'm really pleased with my results. I would however encourage people to work really fast especially in the academic reading, sadly I didn't even finish the last passage. Helpersss.. Please tell me how can i get 6.5 band score? What is the formula? What should i do..? I want to get minimum 6 in 4 sectors.How can i get these? I want to go to Canada so have to get minimum 6.Tell me about it. can you help me to improve my score to (6)?? i want to get 7 band in ielts test ...but how can i get it in an easy way....????? plxxXX help me and i'm also weak in ielts so what can i do .....???? I need 6.5 IELTS with no band under 6.0 to apply my postgraduate course in UK. PLEASE HELP ME HOW CAN IMPROVE MY READING SKILL FOR GENERAL I GOT 5 BAND BUT MY REQUIRMENT IS 6.5 BAND. I'm Yu ya.Now I'm preparing for IELTS exam and I want to get band 6 .It's not possible for me but I want to try and get best result in one time . Please advise me ,how can I get band 6. Every one worrying about the exam is not a solution , from my point of view practise is the only thing that will permit you to achieve your goal.To be honest i took the ielts 2 times , in my first time in 2012 i got 5.0.However, two years later i had to sit for my ielts exam , so i could a university in the UK and they asked for ielts 6.5. I practised the ielts until i felt satisfied. And, then i took the exam. When my results was released , i got 6.5 overall with minimum of 5.5.What i want to conclude with that practise makes perfect. IELTS is accepted by Universities in UK, Australia, New Zealand and Canada. It has become a mandatory test for study in Australia. One cannot be granted an Australian Student Visa without an IELTS Score. The IELTS tests all four language skills that are important for effective communication: speaking, listening, reading, and writing. I am always get 4.5 in the ielts. Please I need help. .. I gonna take IELTS on 22, November 2014 in Tashkent, and I am so excited and worried a little bit. So I wanna share my opinion before it. As this is my first exam I am preparing very hard and my goal is to get at least 6.5 score overall but it is easy just to say I think. Please, help me be more self-confident and skilled. Do u agree or disagree? I understand the vocabularies in this question but I don't understand the concept or the idea of the question. Does university just benefit the individual? i.e. they get their degree, get a better job, earn more money etc. Or does it benefit society? A better educated population may benefit the whole society. In this question, you are given an opinion from someone who thinks as per the first point. So on this basis, the argument is that they should pay for it, not everybody else through the government (in many countries the government pays for university through taxes. So it is asking if you agree that the individual must pay for it as it only benefits them. If you disagree you would argue how it benefits society too. Himanshu this side , I am practicing for ielts and this is my 1st time . I want to get 6.5 band all over in ielts but I think ,it's not an easy task to achieve . I have to practice for 7 then I will be reaching on 6 band .. I have wrote ielts thrice but I got 5.5 as highest score. I need to get 6.5 in ielts in order to get good universities. But I was poor at listening and reading can someone send me the tips for boosting up my listening and reading test plsss..? Anyone Wants to Practice English ??? i'm preparing for IELTS test , so i'm going to give my test in the end of this year . so if anyone wants to prepare for his/her test , he/she also can join me through skype .. so it'll be better for both of us ... because minimum 2 persons are better than 1 .. because each person has its own mind so he/she will give good ideas. i've been speaking with users throughout world for more than 6 months on different websites . so i welcome users from different parts of the world to join me at skype .. usually i'm online on skype from evening to late night .. i welcome only serious users who have intention to give ielts test . my grade is 5.5 to 6. Is it posssible for me to get 6.5 to 7 within 20 days? please suggest me what should i need to do? To go up half a band, 6 to 6.5 is possible, but a whole band up to 7 is unlikely. It's a language test and it takes time to learn and improve in another language. I wrote ielts General few weeks ago and here are my final scores. All I did was practice. There's no other substitute for it. You can take as many mock tests as you can. One can find loads of them online. I needed 7.5 each but got 6.5 in two. This is my third time IELTS test and in the previous two tests I always got 7+ in Speaking and Writing. Do you think I should opt for a re-check? Is it worth? Anyone gave IELTS with IDP Kuwait? I am yet to book my IELTS test date and wanted to know if anyone gave the test in Kuwait with the IDP center located in Salmiya? If so, please share your experience and score. I have heard that delay in sending scores happen quite often and wanted to know if it is better to sit the exam by booking with the British Council. Your comment would prove really helpful to me. How to get score 6.5 at least as fast as possible ? 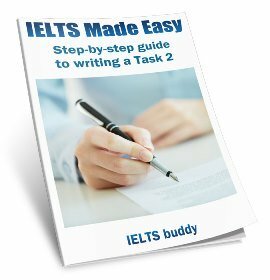 I wanna to get ready for IELTS Test during 6 months later, so I need to know what is the best way and book to reach that? Is there any chance? I can work so hard maybe 8 hours a day, I mean Have enough Time? hi friends i need 6.0 in reading can u plz suggest me how i got it. i gave two time i got same 5.0 in readig. Dear Friends , I would like to get help to achieve 6.5 in IELTS-General , and if anyone can recommended me a good institute or contact e-mail to English tutor it will be great and I will appreciate . I m living in Dubai , Thanks and good luck to all . dude listen never be tensed when you are for exam be cool specially in listeninig jst concentrate, and read questions before you are listening accordingly. i want someone help me to improve my english and help to get 6.5 ielts. I am disappointed. i should have IELTS(academic) 6.5 and my reading skill is too weak. please help. I can not answer question correctly.although I understand the text. my target is 7. how can i get more than 6.. my exam is on february 28.and i want to get 6.5 in ielts exam. i always worried about. i want to go australia to complete my study in computer software engineering. i want to be a good person. I am so excited to share that I have achieved 7.5 overall. Reading 8, Listening 7, Speaking 7 and writing 7.5. Good luck to everyone. Keep practicing. I also want to get 6.5 in ielts cetificate. Therefore, i will study more about the vocabulary and grammar firstly. The second, I will practise 4 skills in ielts. You please give me some advices if you get any idea. 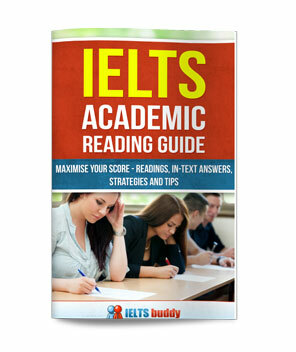 To get band score 6.5..
What books should I use to get 6.5 in IELTS test? MY NAME IS YASHPAL.I HAIL FROM JODHPUR.I COMPLETED MY IELTS PREPARATION FROM KERLA [ DARSNA INSTITUTE ] AND I AM FULL CONFIDENT THAT I WILL GET 6.5 BAND. IF YOU HAVE MORE SUGGESTION FOR ME THEN contact me at yash.jats@gmail.com. Hi, I took IELTS test on 28th March and got 6.5 overall. W 6.5 , L 6.5, S 6.5 and R 5.5 . Reading 5.5 doesn't work for me. How can I improve it in short time. In this year i need to get 6.5 overall (but 6.0 or above in each section) for foundation course in UK, but also side by side I'm creating and collecting my portfolio, which school requirements include... (( On 2nd trial I had 5.5 overall, on second 6.0, but in real exam things are not that easy. Anyone want to practice with me for speaking in ILETS.. Recently i wrote IELTS (GT) exam in Jeddah and i got overall 5 bands. Speaking-5,Listening-4,Reading-4.5 & Writing-6. I need to be score more than 7 bands. Anyone interest to join with me for speaking practice.Please welcome to any gender.Please email me if ur interested aleem234@yahoo.com. We start a practice through skype . Hi friends i am Akshaya. I have to get 6.5. Could any one help me? If any one wish to give idea or conversate with me mail me at akshaya.6498@gmail.com thank you. I need 6.0 in listening, i got 5.5 the last time. Im afraid to take another test. Lets practice guys we will make it. BUT I NEED OVERALL 6.5.. I need 6.5 band on ielts speaking. How can I improve my listening ??? I am consistently getting 5.5 or 6 bands in reading while doing practice excercise....my test is on 1st aug.....plz help me in improving my score....i m reading english articles daily bt still m not improving. I wrote IELTS for the first time and here is my score L=8.5, R=9, S=7.5, W=7 and overall=8. I guess the most important thing to get through IELTS with good grading is to practice as mush as possible. It is always better to identify your strength and weakness and dedicate time accordingly. Reading is quite simple, you just need to identify certain key words which is quite essential when you are answering big paragraphs. Time management is another key here. Do not waste time in answering questions you are not sure about. First answer the questions you know for sure and then review the rest. Listening needs attention to details, that is half the battle won. Just concentrate on the questions you are answering and look for a relating key word which more often than not will be the answer. Do not panic even if you don't answer a few questions, there is always a guess work that you can do. It is better if you practice listening to different accents, it will help you a lot. I practiced by using the CD provided by IDP in my car while driving for almost 1 week before the exam. Writing is all about time management and presentation. As soon as you are asked to write, go through the question properly, understand what you have to write, then make short notes on what you have to write and how you are going to present it. Practice is a must. These 3 exams will happen in 1 day so, it is always better if you can practice the exams as much as possible. Speaking test not only involves fluency and vocabulary but also body language and how you carry yourself. Never make speaking like an question answer session, let it be a healthy discussion. Always make sure you answer to the point and elaborate every answer meaningfully. Never contradict yourself if you run out of ideas. All in all, practice is what makes the exam mush easier. I passed my IELTS Academic test and today got my result! I just got 9.0 in IELTS ACADEMIC test!! I have taken the ielts test more than 15 times and I couldn't have 6,5 score. I have taken ielts book, but were not really helping me. If you suggest or recommend something to do, it will be a huge help. I have got 6 two times, but then it went down 5,5. Hi,am very weak in IELTS. I have got 5.0 in two attempts.but am eager to waiting 6.5.please friends help me how to get 6.5. Help to get 6.5 !!! Friends, i am undoubtedly depressed and lost in IELTS exam as i took nearly 5 times and all got 6.0. I need to get overall 6.5 with minimum 6 in each section in order to get into uni. Could you guys give some effective suggestions about how to get 6.5 since this is too stressful for me. HELP!!! The only way to receive band 6.5 or higher is through practice. Watch videos on Youtube with or without subtitles, read Academic essays if taking the Academic test. Writing practice - cover up the conclusion and then write your own from an essay you can find from an IELTS tutor. Once you master the conclusion, move to introduction, once mastered, move to paragraph 4 or 3, finally the entire essay. 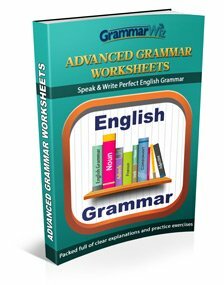 You will not only see the vocabulary, but also transitions and grammar that is used. Reading takes practice. Read the questions and try to understand what they are asking. Speaking is a combination of what others say. Copy styles from TV or movies. Good news for all.Candidate having 6.5 each in IELTS contact me to get Canada or within 6 months. I have no time to prepare for IELTS as the exam date is very close. I am busy in my work and I get the information late. I am so worry for the exam which will start on 5.12.2015. What should I do now? In my opinion, when you are afraid of a subject, you tend to lose confidence in it. To be honest, I didn't put in much effort before sitting the IELTS exam. Since the speaking test is 2 days before the writing, listening and reading test, I started practising speaking 2 days before my speaking test and sat for the speaking test. After that, I used another 2 days to prepare for writing test and that's it. I didn't work really hard as in jamming my brain with all that I've read from IELTS book or from websites. My advice is that, you have to believe that you can make it although time seems to be running short. There's not much you can prepare for language examination, unlike Science subjects such as Biology, Chemistry and Physics which have a specific scope. Language is boundary-less! my score in ietls is l-6, R-5, w-6, s-6.5. i need to get 6.5 in all the areas. how do i get it. please help me. i am applying for canada visa. I need 6.5, how can I get my destination. I think i should have taken beer before speaking ..i used to become so confident that i can even talk to Obama...so chill guys...do whatever makes u comfortable before the exam..
Pls friends I need your help about to write my ilets exam on 20 February. Feeling so nervous and also am writing for the first time. Email @chisom.okoro98@gmail.com or via on Skype cyntolet. I will be grateful if someone will help me. I taken ielts idp on Deb 13 2016 and scored 6.5 band. My suggestion is speak confidently and be truthful in speaking. In YouTube watch Emma ielts videos.they are really helpful. Practice listening from tutorial CD and learn tricks by yourself to answer listening.learn how to skim and scan passages in Reading (skimming and scanning). last time in bc i got 4.5 bands and i got visa on svu and again attend the idp i got 5 bands now am applying for again for better school in usa. wish u a good look for those who r attending the ielts..
i have attended 2 times in ielts test, but unfortunately i didn't get the desired band of 6 in each module. Still i'm struggling in reading modules with 4.5 band, i need to get 6 band. So, any one of you can give suggestions to me on my id shiva8905@gmail.com. In last try i got over all 5.5 band only, i require 6 band over all. 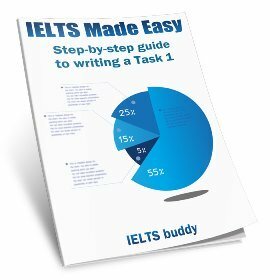 Ieltsbuddy how can you help me only i have 1month to go. I got IELTS results as W- 6.5, L-6.6, S-6.5, R-5.5 and O-6.5. But I need overall 6.5 and each not less than 6. So, for reading i didn't get my required score. So, Do i need to do IELTS again? I think it is unfair to do every other subjects again and pay same amount for 2nd time. If IELTS is testing our English knowledge and if we got required level for other subjets, why we should do again all 4 including passed subjects. Yes unfortunately you have to do the whole test again. I took IELTS last month. I got only 5 band. Nowadays, I'm studying Listening and speaking for IELTS. And I plan that I will take it again at the end of this year. My expectation from the second test is 6.5, because I need it for applying scholarship. I need 6 bands in each. I need at least 6 in all. I didn't take IELTS yet.. I want to get 6.5 score... But I'm so afraid now... My speaking, listening, writing, reading very poor... What should i do..?? Plz help me.. I took the exam 9 times and I am stuck in 5.5 in IELTS. I want to improve my skills but I really don't know how!!!!! I have to achieve 6.5 in order to complete my master degree in Australia. Please anybody can help me. I've a lack of confidence because before starting the listening as well as reading I always thinking hat it couldn't be done by me. Several time this problem is being created. I didn't know how to solve it. Every time starting before the test I always think that today I'll not be nervous but at the same time I come under the fear. After a month I will take an exam. I wanna to get 6.5 on the IELTS. I did practice a lot, but result was 4.5. How can I improve my result in a month. At the recent test i got overall 5.5.But i want to improve the score into 6.5 for my higher studies. Would you please give some writing and reading tips. I have given my pte exam and got my overall score 50 so i want to give ielts exam to achieve 6.5 band overall and each 6. Ad my exam is on 20 august and I dont have too much time for exam. I am very worried about my IELTS exam. This is my first time but I am quite concerned about my reading exam more than other parts. last year, I did CAE exam and i didn't pass reading and listening. On the other hand, I got quite good marks on both speaking and writing. I don't have enough time to practice because my exam is in this week. eventually I got only 2 days left and I am very unsure about reading exam. I would like to request everyone who has done the exam and got a good result please give me better idea from your own experience. I need to get 5.5 in each section. I got IELTS results as W- 5.0, L-4.5, S-5.0, R-5.0 and O-5.0. Someone can tell you how to get a 6.5, or in other words what specific criteria is needed for a 6.5, but that doesn't mean you are then just going to be able to do it. You are learning a language so like any language learning it comes from hard work and study. So what you need to decide is how you are going to study and that depends on many things such as your time and resources i.e. can you get lessons or not and how much free time can you put into learning. I have given ielts test twice and everytime I got overall band 7 score. To my surprise the first time when i gave test i was very much aware than i will score around this: L-6.5, R-7, W-6.5, S- 7.5. However my next attempt went really well, much much better than my previous section. However there was no change in my score. R- 6.5, L - 7, W- 6.5, S- 7.5. I am not able to understand why this happened when all my sections were far far far better than what i did before. I have completely lost my interest now in ielts since it simply seems to be money making thing wherein either have to have good luck to score 8.5 in first attempt or you have to really have to invest multiple times to get your desired score. Hi, how do you know that your sections were far better than the first time? It's impossible to know how many you got right / wrong in the reading and speaking, or how good your essay or graph was. Only the graders will know that. I need 6 in all therefore attempted for third time. My reading test was good but I doubt about listening test. I hope to get 6 in listening as I need 6 in all four. I've taken the test 26 times and the highest score 5.5 I just need 6. Please help me out I had given the IELTS General Module Test on 24th September 2016. I am shocked after looking at my result. I did more than 50 practice tests before giving my IELTS (the lowest I scored in 2 or 3 tests were 6.5 bands and the highest were above 7/ 8 bands). Listening is the easiest part of the IELTS. I can bet British council on that, if my score will be less then 7 bands, I will give them my certificate back. Mostly the cases I have seen in the past regarding the writing tests of IELTS were that if a candidate meets with the minimum requirements like 250words (essay), 150 words (letter), like basic vocabs with few grammatical mistakes, resulted with a 6.5 bands. I am a graduated engineer and has been in the English environment since the age of 5. I used rich vocabs/linked the sentences in a right way. Furthermore, before giving the test i learnt more than 11 essays (6000 of words, 250 contexts) from the IELTS books (prepared by the examiner). Interestingly, one of that topic came in the test. Let's just put this in other perspective, One of my friend had given the same test with me. According to him he was expecting 5.5 because he didn't use vocabs and also his grammar is too weak. Even after that he got 6 bands. Kindly help me guys what should i have do now ?? They are offering for EOR, rechecking. In the first attempt, I scored L 5.5, R 5.5, W 6 and S 6. AND THIS all 6!! What do I need to do sir? Do I need to go for TOEFL or PTE?? I can't advise you about PTE or TOEFL. People have varying opinions as to which tests are easier so that is a very personal thing. Also it depends where you are intending to go to and what kind of test results they accept. I don't know how long you have been taking IELTS but it can take some people a long time to move up even half a band. Remember you are learning a language and that can take time. Is there any way I can develop my writing skills so that I can retake the exam to get a better result, and also should I take the SAT to apply to US universities. I want to get IELTS test in 6.5 bands so please help me, I'm very weak in English language and this is my first time. How cam I do this? First of all you tell me that IELTS is easy???? I took ielts academic for my phd, but i am stuck by listening score. I had 4.5 the first time and i took again,but still showed no improvement .I am not bad in English, but unable to do IELTS. Would u help me? I took the IELTS test 3 times. And I always get 5.0 in writing. I need 6.5 band. Please help me to get 6.5 band. I've taken IELTS 3 times, but I've got same 5.5 each time. The required score is 6.5, friends please give me a best advice to score high!! I give 2 times ielts and always I get only 4.5 / 5 overall. How can I inprove my score. Plz give me advice. It's impossible to tell you how to improve your score in one message on a forum. Firstly it can take time to improve (I don't know how long you have been studying). Also you are learning a language so that involves learning many different things, plus it's impossible to know what your specific problems are without a personal assessment. The website is here to help you improve your score so please go through it and start the lessons and practice materials. If you have put a lot of work in and you are still not improving then really you'd have to think about some kind of personal tuition or classes. My bands requirement is overall 6.0 with no less than 5.5. And i have am going to give another test on 20th July so could you help me to score good in reading and writing. How can I do to get the 6.5 number, if is there any right way for preparation. If anyone have problem with any modules of ielts they can talk with me I'll help you to get 6 or more score in ielts. I took my IELTS test for 5 times, I am not able to score more than 5 in reading. Suggest me few tips, so that I can improve my reading skills. ielts score - How can I get 6.5 in IELTS test? Hi I Wrote three times ielts examination I scored only 5.5 I have get 6.5, any suggestions to get more score. hi my name is arjun, i took ielts exam in 2013 for check my English ability, i did not do any practice and never take any coaching, when i took the test that time I am working in marine industry as a worker, i am a degree holder in mother language, my first result was overall sore is 4.5, now i am have more than 10 years work experience and ideally think go to Australia for better future, hi my dear friends if i do hard practice and take coaching can i get 6.5 in each component. if possible i foot step to move. please assist to give advice. I got 8.5 the first time I attempted IELTS.